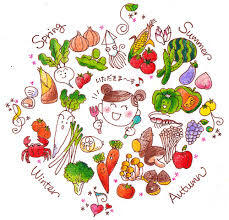 If you are health buff, you may have heard it before…”Eat seasonal and Eat Local”. But why? What is the point and what does it mean? When you eat foods that are growing right now and that are local, it helps your body to adjust to the climate you are living in. If you live in the desert (as I do) then nopal cactus, prickly pears, wild greens (otherwise referred to as weeds) can be some of the best foods on the planet when it comes to comforting, healing and nourishing your body. Did you know that mesquite (you’ve probably experienced it as a super food powder that you put in smoothies) is a pod that grows all over Tucson and Phoenix AZ (among other warm/hot places such as Costa Rica) and helps cool the body down? That’s why it’s important to eat them when they are in season (in the summer vs. winter). Nopal cactus is a big cactus that looks like mickey mouse ears and sometimes in certain times of years fruits the red prickly pear fruit which is great for juicing or eating. Nopal is well known here in Arizona and on Indian Reservations for helping to lower blood sugar and lower cases of diabetes in those who consume them regularly. They are a bit slimy and have a very mild (almost tasteless) flavor, but the texture is quite meaty as well, and some Mexican cuisine includes them in tamales and tacos. You can also purchase Nopal cactus in capsule form to enjoy the blood sugar lowering properties and mild laxative effects (helps you have big, healthy poops). 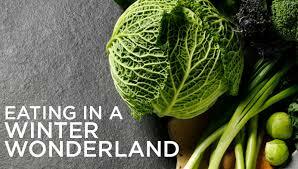 Kale and other members of the mustard family are better eaten or juiced in the winter. Save the lighter leaves such as spring mix (baby greens) for the warmer months. Frozen smoothies and iced drinks are not a winter food. Blend your smoothies with room temperature ingredients during the winter or if the fruit is frozen, add hot water to the blender to aid in warming your body up. What is a local fruit? Hmmm maybe we shouldn’t be consuming bananas unless we live in Bali or south America? Maybe we aren’t even designed to eat so much sweet fruit when there is no way we could have been eating it before trucks and airplanes came along. 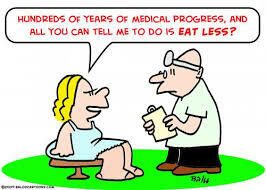 Avocados and tomatoes are actually fruits too but don’t carry the glycemic (diabetes aggravating and weight gain) impact. What is growing locally in your area right now? If you live in the snow, then look up…what about boiling or juicing pine needles or junipers or steeping them into a tea. Also roots and bulbs can still be a viable option in Winter in the coldest of climates. Are we supposed to be eating less in the winter not more? Maybe just hot broths made from foods that can be stored such as onions and roots? It’s possible! Bears do it as do a lot of other mammals. I’m not saying you should, I’m just saying it’s something to consider. Something else to consider is food allergies. Why do so many people have them? Maybe again it’s because we are eating things out of season or not even grown on our continent. Maybe our bodies are not designed to eat the same food (such as wheat, milk, gluten bananas or strawberries) all year round.